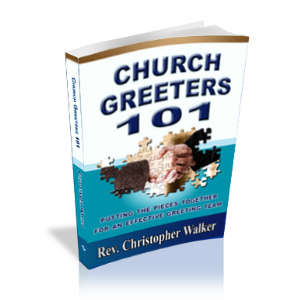 Why another book on church Greeters? Why another book on Greeters? A greeter does more than shake hands on a Sunday morning. They are a vital part of your organized friendliness that helps members and visitors connect with each other. Too many churches simply recruit warm bodies to fill this role. That those jobs are filled without much thought, training, or planning indicates the failure to recognize the special role that greeters have in welcoming your guests and members. And the big one: Greeters want to know what to say. After all, there are only so many ways one can say “Good morning” at the entry door greeting line. As part of my work, I’ve talked with several church leaders around the United States who are at the point of organizing some kind of greeting team. They have ushers at the sanctuary doors, but no greeters at the entry doors. These churches consider themselves to be friendly, but want to take that friendliness to the next level. Other churches simply ignore this blessing of hospitality because they either fail to see the need to greet visitors, lack the know-how for how to greet visitors, or simply don’t care and prefer things the way they are. According to anecdotal surveys that I’ve done with leaders of greeting ministries, it is clear that currently available material for greeter training is not specialized enough. 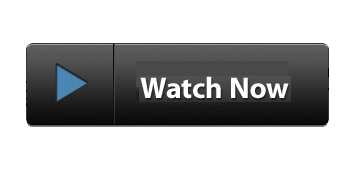 The information on the market now is not answering the questions asked of me. With the exception of two books on the market as of late 2009, much of what I have read contains outdated practices that are not even relevant for today. Misses a majority of churches. Some books I’ve evaluated are focused on large campus churches in the American suburbs. However, nearly 80% of churches in the US see fewer than 100 in worship attendance on a regular basis. One recent statistic pushes this further, claiming the average worship attendance in America is only 53 people. These books miss the general church audience. 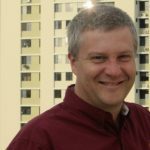 Some resources are focused on the overall picture of hospitality and first impressions that greeters might only get one or two pages of mention. These books don’t fill the gap in recruiting or training. 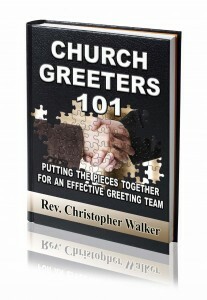 This book, in contrast, seeks to fill in that gap and give you some practical steps in training your greeters. This book’s target audience is greeters, hospitality committees, and those who want to ramp up their greeting process to the next level.